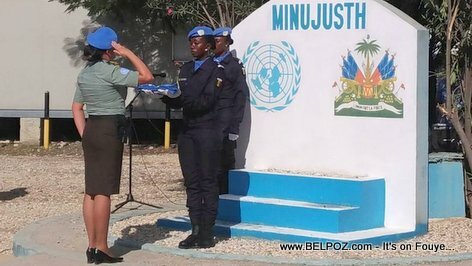 The United Nations Mission for Justice Support in Haiti (MINUJUSTH) whose mandate expires on 15 April 2018 is looking to extend it further so they can provide more justice support to the country. Jean-Pierre Lacroix, Under-Secretary-General for Peacekeeping Operations, addressed the UN Security Council saying: "Haiti has come a long way to achieve the relative political and security stability it is now enjoying, but persistent economic uncertainties, which can result in social exclusion, particularly of youth and the most vulnerable, may undermine this progress." 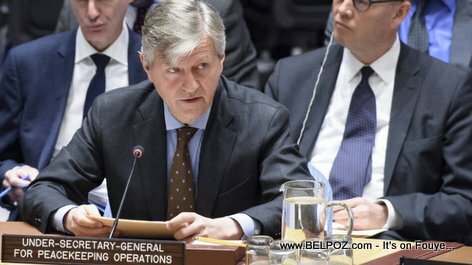 The Security council will renew MINUJUSTH; however, Jean-Pierre Lacroix said he wants to make sure this is the last peacekeeping operation deployed to Haiti. Read a more detailed article from United Nations web site. Last month, UN released a strategic assessment of MINUJUSTH, including 11 benchmarks for a smooth transition to a non-peacekeeping presence by the last quarter of 2019, the article said. I got less than 15 mins. here at the lib..
what did I just say! Bye ..
That is why we got to have Guns..